Tool steel refers to a variety of carbon and alloy steels that are particularly well-suited to be made into tools. Their suitability comes from their distinctive hardness, resistance to abrasion, their ability to hold a cutting edge, and/or their resistance to deformation at elevated temperatures (red-hardness). Tool steel is generally used in a heat-treated state. With a carbon content between 0.7% and 1.5%, tool steels are manufactured under carefully controlled conditions to produce the required quality. 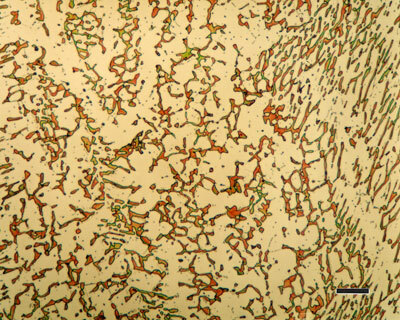 The manganese content is often kept low to minimize the possibility of cracking during water quenching. However, proper heat treating of these steels is important for adequate performance, and there are many suppliers who provide tooling blanks intended for oil quenching. Tool steels are made to a number of grades for different applications. Choice of grade depends on, among other things, whether a keen cutting edge is necessary, as in stamping dies, or whether the tool has to withstand impact loading and service conditions encountered with such hand tools as axes, pickaxes, and quarrying implements. In general, the edge temperature under expected use is an important determinant of both composition and required heat treatment. 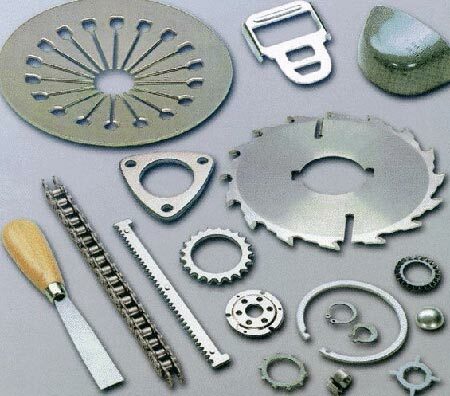 The higher carbon grades are typically used for such applications as stamping dies, metal cutting tools, etc. Tool steels are usually supplied in the annealed condition, around 200/250 Brinell (about 20 HRC), to facilitate machining. In this condition, most of the alloy content exists as alloy carbides, dispersed throughout a soft matrix. 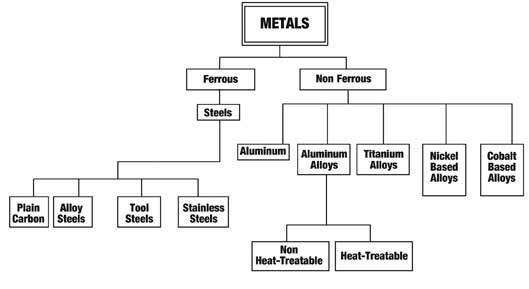 These steels must be heat treated to develop their characteristic properties. The heat treating process alters the alloy distribution and transforms the soft matrix into a hard matrix capable of withstanding the pressure, abrasion and impacts inherent in metal forming. Each step of the heat treating cycle is designed to perform a specific function, and, like links in a chain, the final product is only as good as its weakest component. Although it may only represent 10% or less of the cost of the tool, the heat treat process is probably the single most important factor in determining the performance of a tool. There is no such thing as an acceptable shortcut in heat treating tool steels. Preheating, or slow heating, of tool steels provides two important benefits. First, most tool steels are sensitive to thermal shock. A sudden increase in temperature of 1500/2000°F may cause tool steels to crack. Second, tool steels undergo a change in density or volume when they transform from the as-supplied annealed microstructure to the high temperature structure, austenite. If this volume change occurs nonuniformly, it can cause unnecessary distortion of tools, especially where differences in section cause some parts of a tool to transform before other parts have reached the required temperature. Tool steels should be preheated to just below this critical transformation temperature, and then held long enough to allow the full cross-section to reach a uniform temperature. This problem is especially evident where differences in geometry or section size can cause some parts of the tool to transform before other parts have reached the aim temperature. In general, higher temperatures allow more alloy to diffuse, permitting slightly higher hardness and strength. Soak times at austenitizing temperature are usually extremely short – in the neighborhood of one to five minutes once the tool has reached temperature. The useful alloy content of most tool steels exists as carbide particles within the annealed steel. This alloy content is at least partially diffused into the matrix at the hardening or austenitizing temperature. 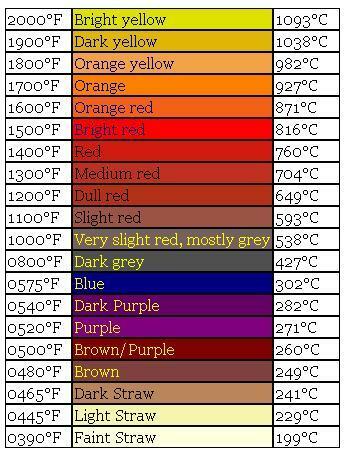 The actual temperature used depends mostly on the chemical composition of the steel. High temperatures allow more alloy to diffuse, permitting slightly higher hardness or compressive strength. The hold times used depend on the temperatures. Diffusion of alloy occurs faster at higher temperatures, and soak times are decreased accordingly. The austenitizing temperature that is selected depends strongly upon the alloy content of the steel. The aim properties including hardness, tensile strength, grain size, etc. also factor into the temperature that is chosen. Higher temperatures allow more alloy to diffuse, which usually permits a higher hardness. (This is true as long as the temperature does not exceed the incipient melting temperature of the steel.) If lower austenitizing temperatures are used, then less diffusion of alloy into the matrix occurs. How fast a tool steel must be cooled, and in what type of quench medium to fully harden, depends on the chemical composition. Higher-alloy tool steels develop fully hardened properties with a slower quench rate. No matter how tool steels are quenched, the resulting martensitic structure is extremely brittle and under great stress. Some tool steels will spontaneously crack in this condition even if left untouched at room temperature. How fast a steel must be cooled to fully harden depends on the chemical composition. In general, low alloy steels must be quenched in oil in order to cool fast enough. Higher alloy content allows steel to develop fully hardened properties with a slower quench rate. Air-hardening steels cool more uniformly, so distortion and risk of cracking are less than with oil-hardening steels. No matter how tool steels are quenched, the resulting structure, martensite, is extremely brittle, and under great stress. If put into service in this condition, most tool steels would shatter. Some tool steels will spontaneously crack in this condition even if left untouched at room temperature. This process is called quenching. Generally, lower alloy steels such as 01 must be quenched in oil in order to cool fast enough. Higher alloy content steels can develop fully hardened properties by undergoing a slower quenching process. 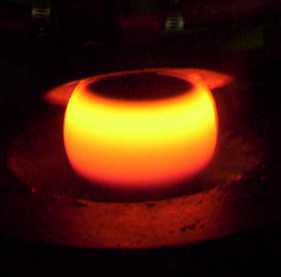 Tempering is performed to stress-relieve the brittle martensite which was formed during the quench. 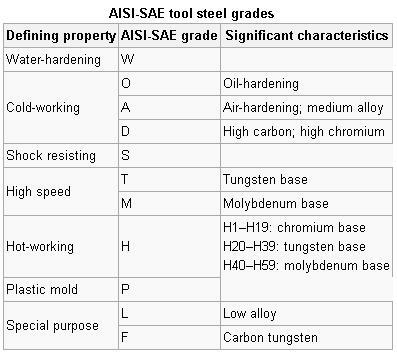 Most steels have a fairly wide range of acceptable tempering temperatures. In general, use the highest tempering temperature which will provide the necessary hardness for the tool. The rate of heating to, and cooling from the tempering temperature is not critical. The material should be allowed to cool completely to room temperature (50/75°F) or below between and after tempers. 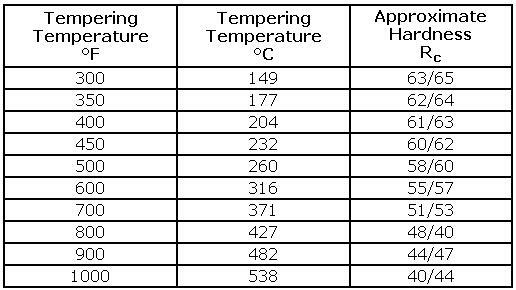 Most steels have a fairly wide range of acceptable tempering temperatures. In general, use the highest tempering temperature that will provide the necessary hardness for the tool. The rate of heating to and cooling from the tempering temperature is usually not critical. Multiple tempers are typical, especially for many of the more complex tool steels (e.g. M-series and H-series) requiring dou-ble or even triple tempering to completely transform retained austenite to martensite. These steels reach maximum hardness after first temper and are designated as secondary hardening steels. 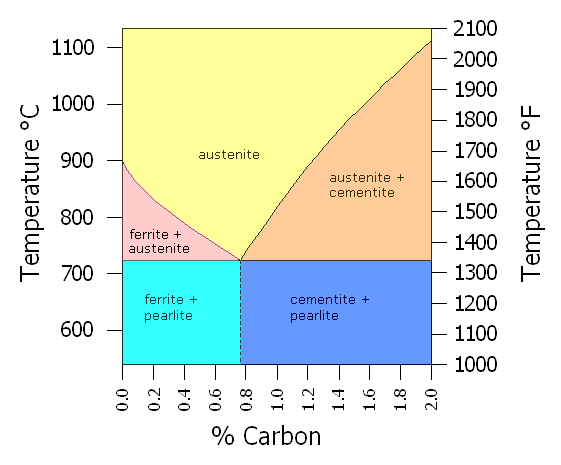 The purpose of the second or third temper is to reduce the hardness to the desired working level and to ensure that any new martensite formed as a result of austenite transformation in tempering is effectively tempered.Tempering is performed to soften the martensite that was produced during quenching. By performing a second temper, this new martensite is softened, thus reducing the chance of cracking. Tool steels are usually supplied to customers in the annealed condition with typical hardness values around 200-250 Brinell (» 20 HRC) to facilitate machining and other operations. This is especially important for forged tools and die blocks where partial or full air hardening takes place, resulting in a buildup of internal stresses. Dies and tools that may need to be rehardened must be annealed.Full annealing involves heating the steel slowly and uniformly to a temperature above the upper critical temperature (Ac3) and into the austenite range then holding until complete homogenization occurs. Cooling after heating is carefully controlled at a specific rate as recommended by the steel manufacturer for the grade of tool steel involved. Cooling is normally continued down to around 1000°F (540°C) when the steel may be removed from the furnace and air cooled to room temperature. For most tool steels, retained austenite is highly undesirable since its subsequent conversion to martensite causes a size (vol-ume) increase creating internal stress and leads to premature failure in service. By deep-freezing to -120°F (-85°C) or in some instances cryogenic cooling to -320°F (-195°C), retained austenite is transformed. The newly formed martensite is similar to the original as-quenched structure and must be tempered. Often deep-freezing is performed before tempering due to concerns over cracking, but it is sometimes done between multiple tempers. Retained austenite may be undesirable for a number of reasons. 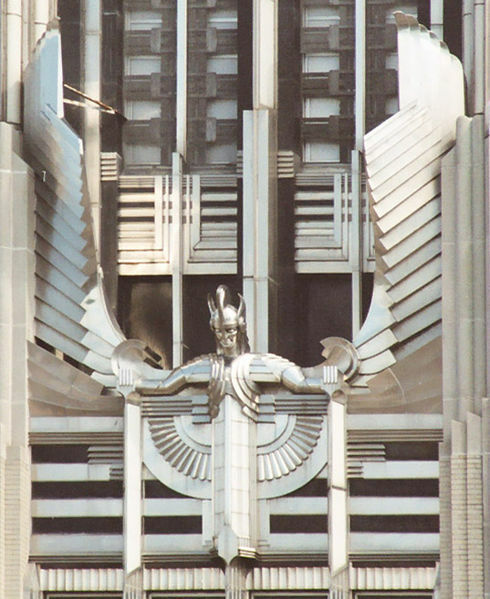 By cooling the steel to cryogenic (sub-zero) temperatures, this retained austenite may be transformed to martensite. The newly formed martensite is similar to the original as-quenched structure and must be tempered. Cryogenic treatments should include a temper after freezing.